Creme de Rosto has been a favorite since 1925. 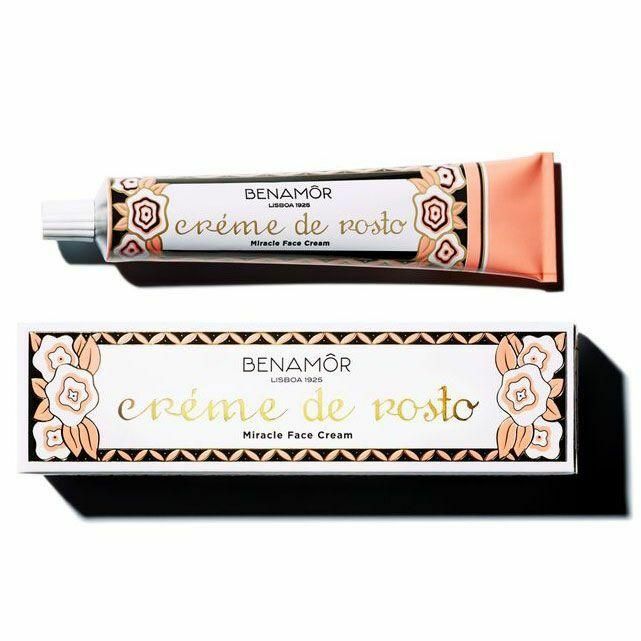 This unique and timeless face cream was born from mixing anti-blemish actives to purify and rose extracts to tone, giving skin an instant rosy glow. Aqua (water), Glycerin, Stearic Acid, Sodium Hydroxide, Glyceryl Stearate, CI77891 (Titanium Dioxide), Ammonia, Sodium Borate, Agar, Alcohol Denat., Parfum (Fragrance), Benzyl Alcohol, Chlorphenesin, Alpha Isomethyl Ionone, Benzyl Benzoate, Benzyl Salicylate, Butylphenyl Methylpropional, Cinnamyl Alcohol, Citronellol, Eugenol, Geraniol, Hexyl Cinnamal, Hydroxycitronellal, Isoeugenol, Limonene, Linalool.